Send information of ALL TYPE ORDERS: Opened (including Pending Orders), Cancel, Closed, Triggered, and Modified Orders. Customize PIP UNIT: Calculate pip for any symbol, in any broker. __Telegram Token: Enter your bot API token. __Multi-Channel IDs: Enter your one or many Channel IDs. Example: "-1234567890123; -1234567890124"
Fill the API Token in EA Input Parameters by "copy & paste". In the Channel, add your bot and set it as "Administrator" so that your bot could send a message to your channel. Fill the Channel ID in EA Input Parameters. Add new URL "https://api.telegram.org/" then click "OK". That's it. 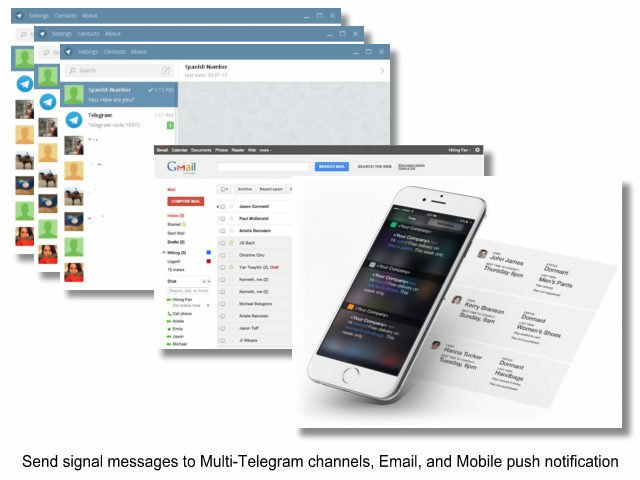 MT4 Telegram Signal Provider EA is ready to work for you. - Add Some Send Screenshot functions: The users can send Screenshot easier. - Fix error in Daily and Weekly Reports. - Add "Pip Unit Customize" function: By default, the Pip unit is the number beside the last digit number. But now you can customize the Pip unit for any symbol through "Pip Unit Customize". - Add Send Chart Screenshot base on Magic Number function: Now you can easily send the chart screenshots base on Order MagicNumber. 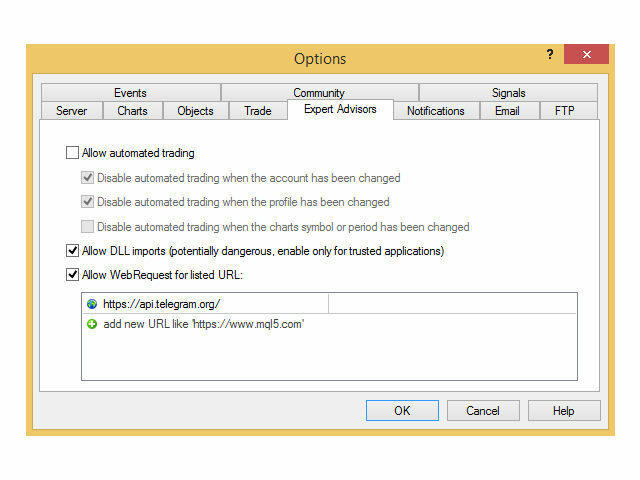 This function is best for Autotrading, MT4 Signal Provider will send the chart screenshot where your EAs were attached. 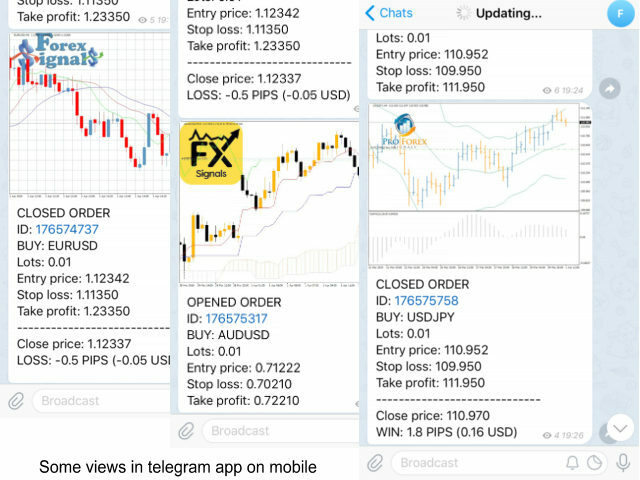 - Fix some errors: Optimize the appearances of Daily, Weekly reports and of order prices (open, close, stop loss, take profit, modify). - Fix the sending text without screenshot error. - Add Signal structure function: Now you can almost fully customize your signals. Example: Add pre-text, post-text, emojis, replace the hard code text in the signals. - Add the time offset parameters: You can modify the order time information in your signal to your local time. You can set the EA working time to your local time instead of the MT4 computer time (when you use a VPS in a different timezone). - Improve code: EA runs faster and more stable. 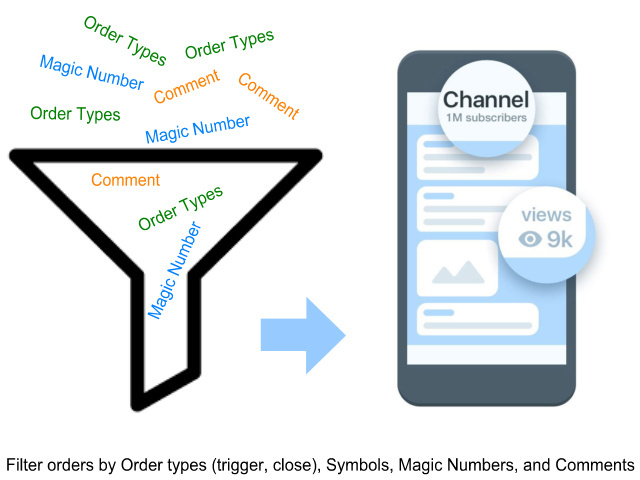 - Filter sending signals by symbols, magic number, comments. 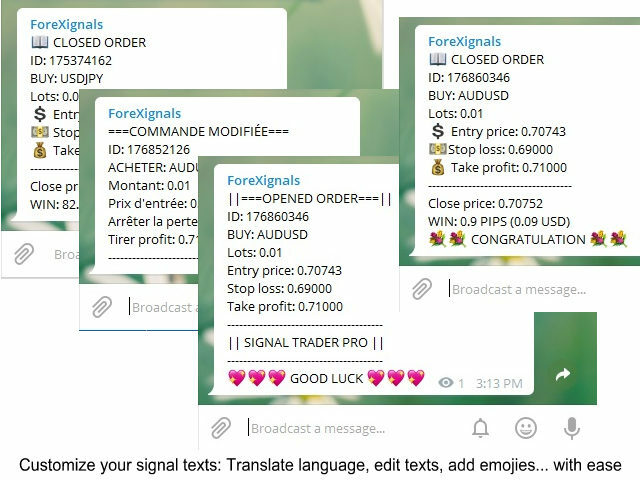 Now, MT4 Telegram Signal Provider can check and send information of Opened, Closed, Trigger, and Modified orders. Add "Logo file name (*.bmp)" parameter: Now you can show a logo in your signal's chart image. 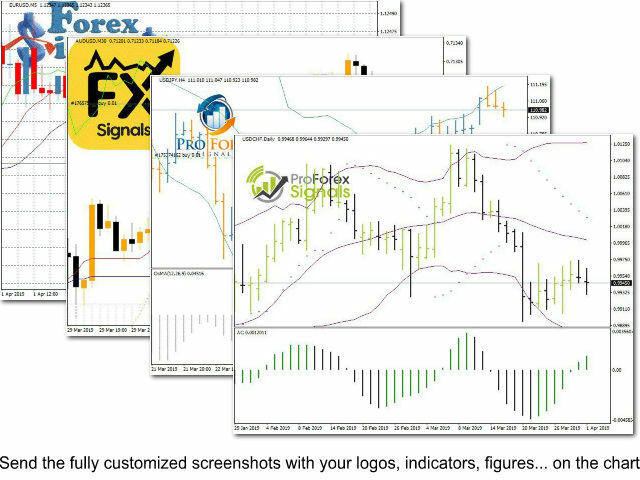 Your signals become more professional. 1. You can check the EA in Testing mode. 2. EA scans new orders every X second (default is 5 second), not on ticks. 3. EA can send pending order signal now. 4. EA can send Weekly Report right after you setup it on chart. 5. EA can send Weekly Report on Saturday and Sunday. Fix error on weekly summary at pips setting. Add parameter: "Summary Profit Unit". 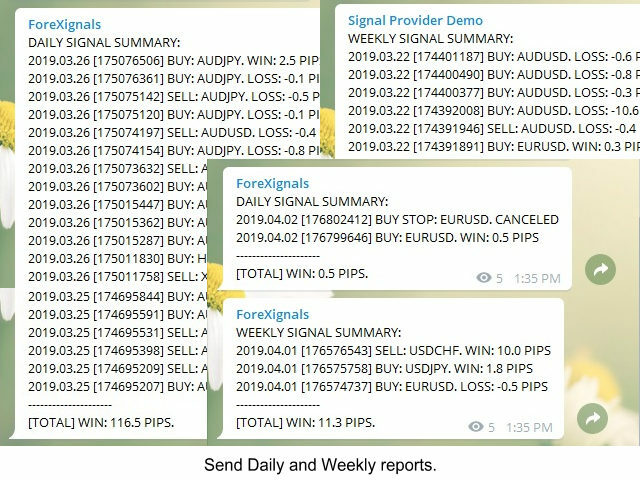 Now you can show the profit unit in Weekly Signal Report by "Pips" or "Currency". Add "Signal Picture Timeframe" parameter: Now, you can set the timeframe of the signal picture you send to your channel.